Frank (F. J.) Nascimento is a Switzerland-based songwriter and composer. Playing the dance standards and the top ten of several decades gave him deep experience in various genres and styles. 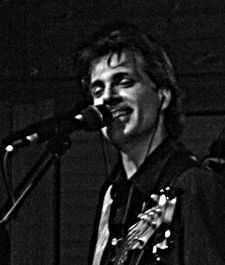 Influenced and inspired by the Beatles, Eagles, Tchaikovsky, Glenn Miller, George Gershwin, Kansas, Little River Band, Gerry Rafferty, Queen, Bach and many more, his music has an unique touch. To the question who he thinks he sounds like, Frank says: "You'll probably recognize one or more of the masters who inspired me but my personal style always comes shining through. So, I guess I sound like me." A singer and musician for more than 30 years, Nascimento has developed a thorough knowledge and understanding of musical arrangements, professional recording, mixing and mastering. In all the projects he was involved, he was either the music director, vocal arranger, sound engineer or all of the above, as well as the lead singer, backing singer, bassist and/or guitarist. Frank's ability to adjust his writing to almost any situation, style or mood, predestines him to compose for film and TV productions. To refine his skills, Frank enrolled in a Berklee College certificate program, consisting of Jingle Writing, Songwriting for Film and TV, and Music Composition for Film and TV. He got certified as Specialist in General Music Studies (see awards). Experience as Songwriter and Composer. Experience as Performer and Entertainer. Knowledge of all types of music. Specialized in Rock, Pop, Country, Jazz and Orchestral Classical. Ability to meet needs of director and music supervisor. Ability to write and produce appropriate music for assigned projects. Ability to write alternative versions (including instrumentation and style). Ability to score to picture. Composed trailer music based on music supervisor's vision. Scored to picture according to the mood and action onscreen. Wrote custom songs for private persons. Assisted in development of music productions. Arranged and orchestrated live acts. Assisted in recording live acts. Mixed and mastered live acts.